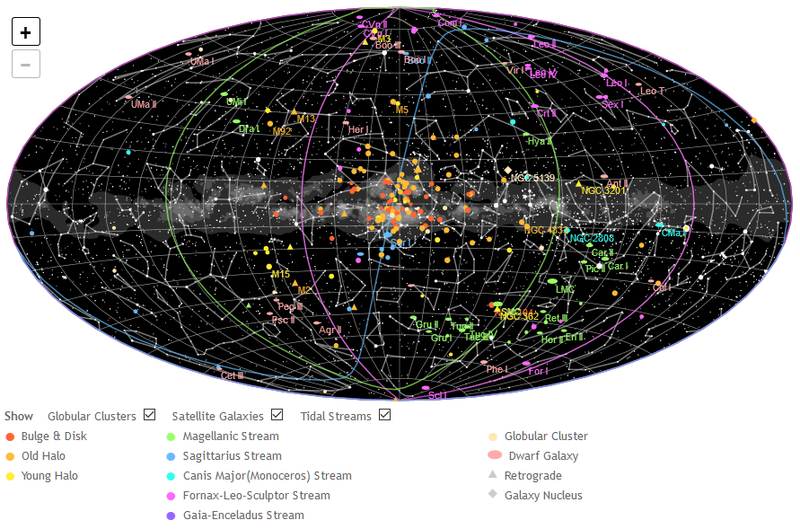 I have updated the Milky Way halo map with a few more objects. They were discovered from data by the Gaia mission based on Amina Helmi et al. "The merger that led to the formation of the Milky Way’s inner stellar halo and thick disk" (arxiv) which finds evidence for a merger of the Milky Way and Gaia-Enceladus, the possible remnants thereof I have marked "G-E" and designated as a new satellite plane in the halo map.